This is a 4″ to 24″ tall, erect, perennial forb that rises from a layered, unclustered, narrowly egg-shaped bulb. There are 10 or fewer basal leaves. They are grass-like, linear, 4″ to 11¾″ long, ⅛″ to ⅝″ wide, hairless, untoothed, and sometimes but not always covered with a whitish, waxy coating (glaucous). 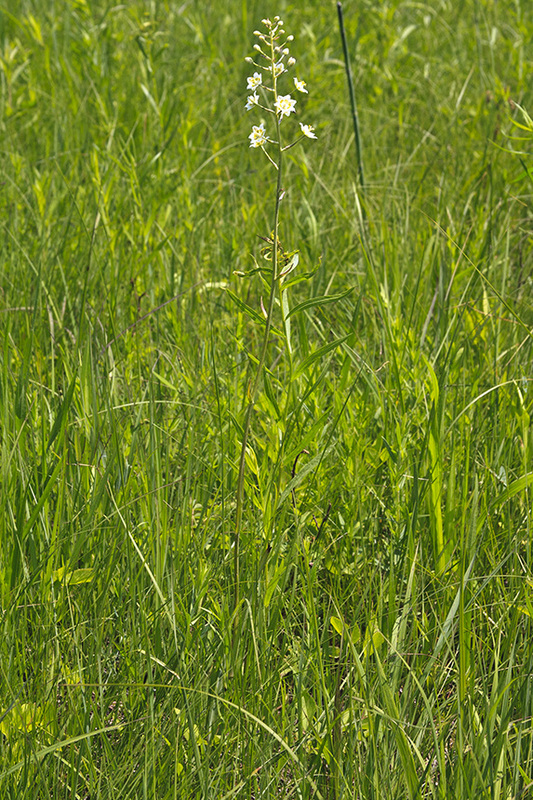 The stem is erect, hairless and glaucous, with a few much smaller leaves. 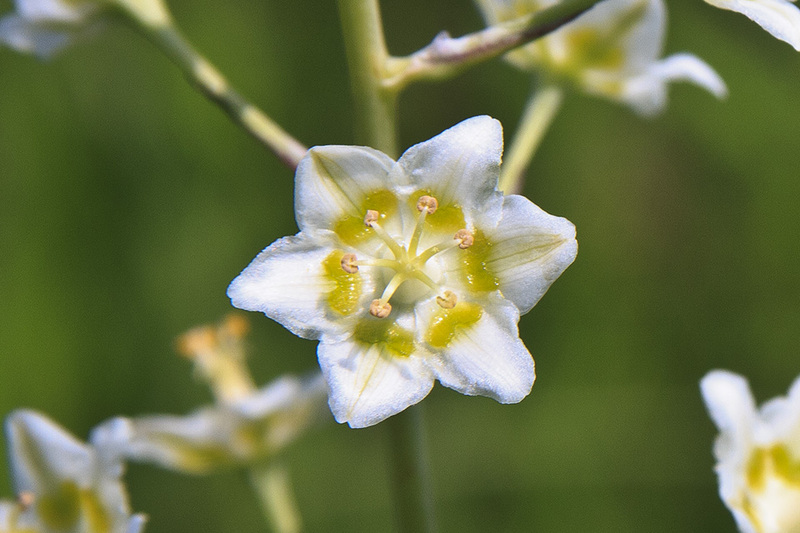 The inflorescence is usually a narrow, unbranched cluster (raceme), sometimes a 1 or 2 branched cluster (panicle), of 10 to 50 flowers at the top of the stem. The flowers are subtended with egg-shaped bracts which, at full flower, are tinged with pink or purple and are wilted but persistent. 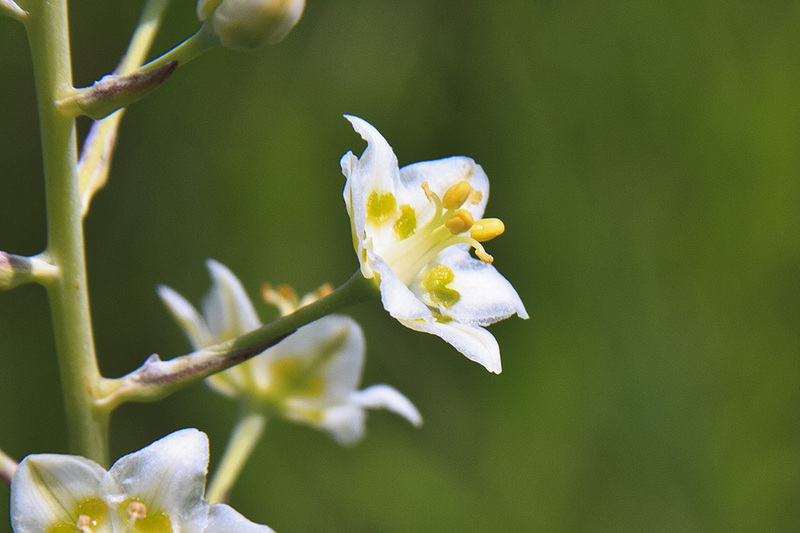 The flowers are bell-shaped and ⅝″ to ¾″ in diameter. 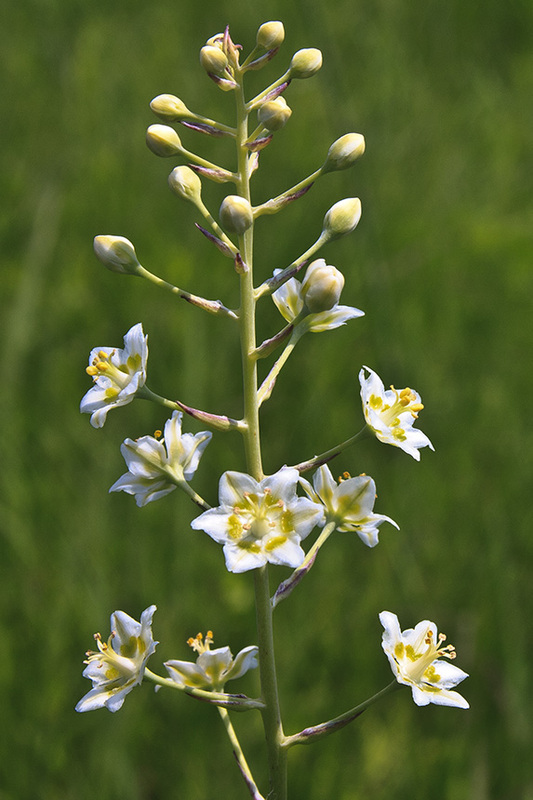 There are 3 whitish or greenish-yellow petals and 3 similar, petal-like sepals (6 tepals). The tepals are oblong to egg-shaped and have a green, inversely heart-shaped gland just below the middle. The fruit is a narrowly cone-shaped, 3-lobed, ⅜″ to ¾″ long capsule. 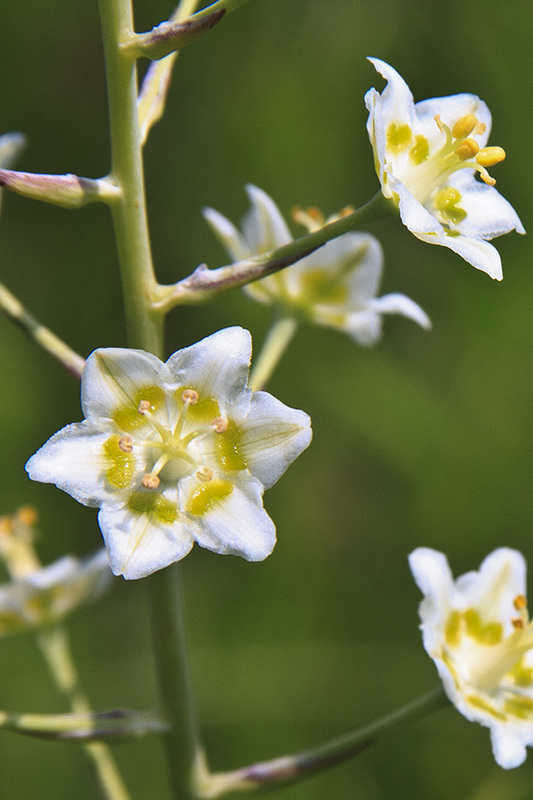 Mountain death camas (Anticlea elegans var. glaucus) is a larger plant. The leaves are always glaucous. The inflorescence is usually a branched cluster (panicle). In Minnesota the ranges overlap and the two subspecies intergrade. This plant was formerly included in the genus Zigadenus. However, that species was broadly defined and lacked very distinctive distinctive morphological features. In the nineteenth century (Kunth, 1843) separated it into the genus Anticlea, but this was not widely accepted. Molecular phylogenetic studies in 2001 resulted it in confirming its placement with ten other species in the genus Anticlea.